Na toll, ich gehe auf KB27739 und es ist alles auf englisch. -.- gibt es irgendwo die deutsche version ? vokalem bisschen hab ich verstanden das ich auf den Hilfe button gehen soll und danach zu support Ressourcen… aber genau das hab ich nicht bzw befindet sich nicht dadrin. da stockt es bei mir und nun? 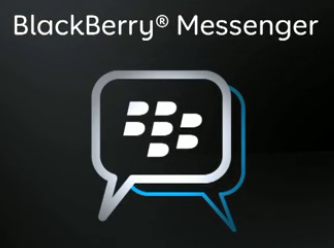 The BLACKBERRY Messenger icon is hidden from the home screen. From the home screen click the Menu key and select Show All Icons. This will display all icons that were previously hidden. Ensure the BBM icon is not transparent (This which would indicate that the application is hidden from the home screen). If the icon is transparent, highlight the BBM icon, click the Menu key, and select Unhide Icon. If the issue remains after attempting the Resolution steps above and you already have an open support ticket with BlackBerry Technical Support Services, reply to latest email that you received. Within the reply indicate that you are still experiencing issues with the BBM icon missing and request that your ticket be escalated for further investigation. Genau diesen schritt kann ich nicht machen weil in meinem Menü nirgends steht “ alle anzeigen icons“ hab ein blackberry bold 9900… und mein problem ist immer noch das mein blackberry messenger verschwunden ist. was nun???? ?